Another episode of [C] goes by as I question just what the hell they are trying to do. 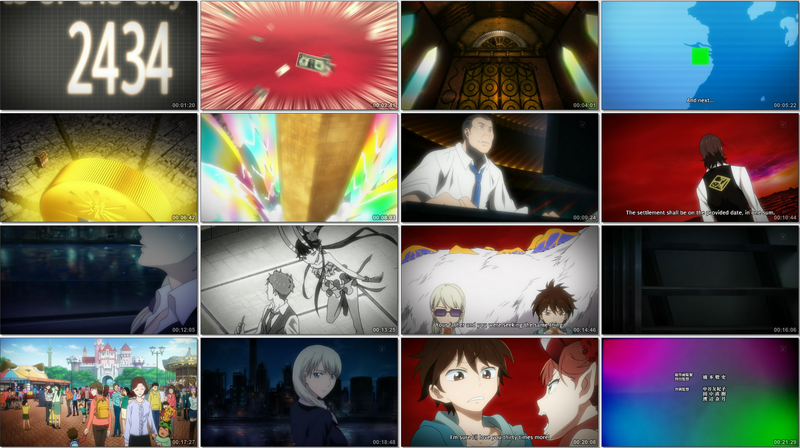 The entire episode was dedicated to showing the huge effect of Singapore exploding and Mikuni's decision to try to fix things. At least we got to watch how useless Kimimaro was through all of this. Looking back a bit, I question again what the point of explaining the battle system in [C] was. Every successive episode seems to move further and further away from the battle aspect of this anime. 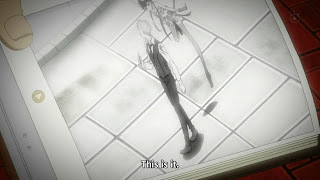 Why even waste a good portion at the start of the anime for something with so little significance? 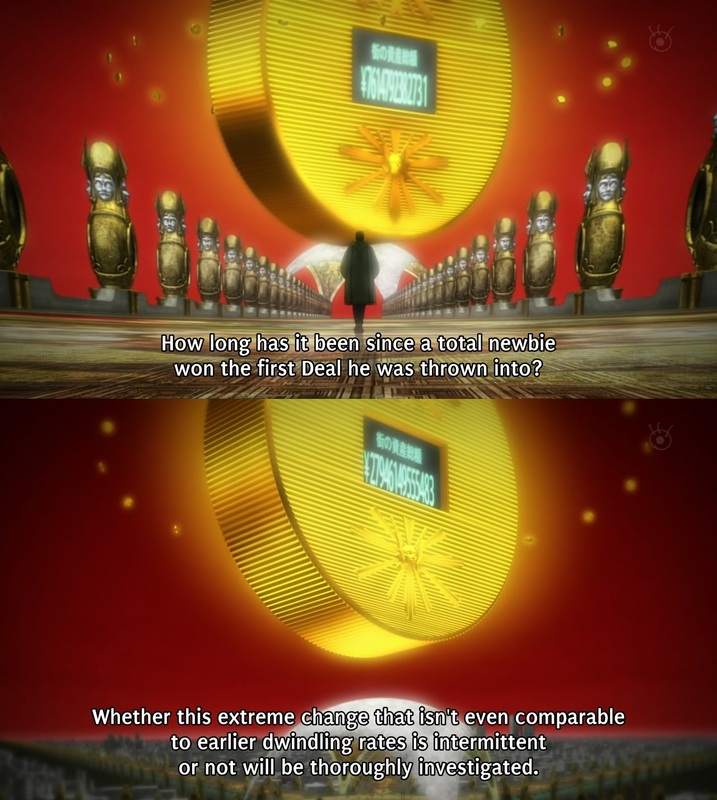 It would have helped if they expanded more on the money thing from the beginning, rather than waste time on the rules that really don't matter. I guess the main point of this episode was about Mikuni buying out everything. This technically works, shown by the most recent credit crisis to bail out the banks. They are trying very hard to relate this anime to the real life recession that has occurred. I mean, it does reflect it well; maybe if the rest of the things like animation and an actually well-planned plot were put into place, it would be much better. Now for the repercussions of Mikuni's actions. Basically, half of Japan disappeared since he paid a price of 20% of all Japan's future to stop Singapore's death from spreading. 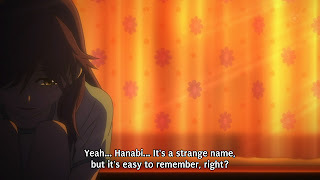 This was shown with everyone poofing and I guess also with Hanabi losing her drive to do anything at all. At this point, you wonder why he even did such a thing. The theory of saving the present is to preserve it. When you are losing so much anyway, it isn't saving much. I mean, the other countries kind of just got some buildings broken down; that was clearly less damage than what Mikuni did to the city to halt the shockwave. Not to mention, by halting the wall, he is saving the rest of the world with Japan as the price. This is all contradictory of just preserving the present, which he is supposed to favour. So, basically, the total assets of Japan jumped from 7.6 trillion to 27 trillion (almost 28), which over 3 times more. Basically, 20 trillion was injected into the Japanese system to stop the economy from dropping. 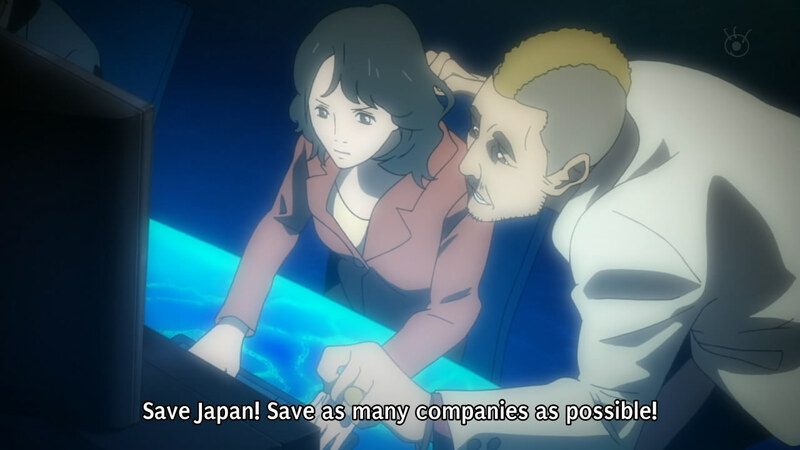 For the 20 trillion be printed from the futures of Japanese people kind of makes sense. It is why the future of Entres are taken and they're given a sum of money in exchange. The money created still doesn't make sense. I'm not sure these people know how the stock market works. Throwing in money would keep the company afloat, but that is a means for keeping companies from going bankrupt. When the company disappears anyway because of the lost future, he just effectively wasted his time. I question why he bothered, other than to over-inflate the Japanese economy and later having to pay for it. 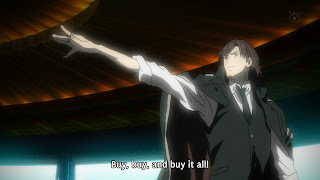 I guess the big thing in this anime is that they attempt to make it about the repercussions of what was done in our current financial system by showing what Mikuni is attempting to do. It is just loosely tied-in, in the sense of the scale and effects of the same actions. When the effects aren't done correctly, it loses its purpose of "warning" people of an impending danger of what is occurring. 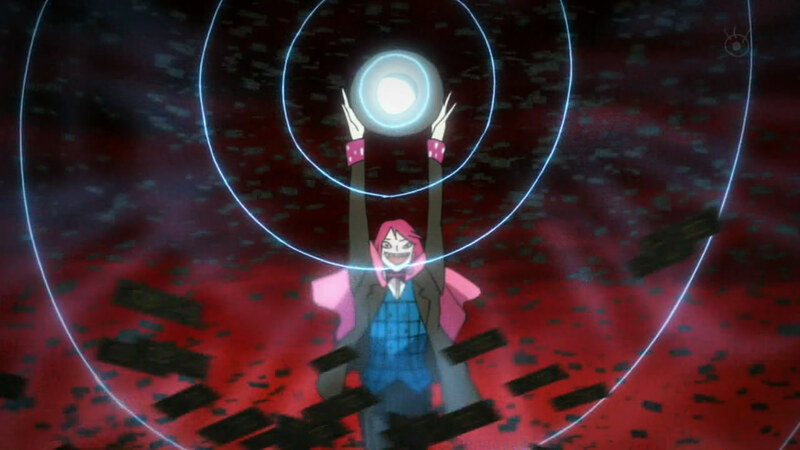 For a prediction, I am now 100% certain that Mikuni will lose and ripple the real world immensely. The question is whether Kimimaro becomes useful and they stray away from a Deus Ex Machina ending. I still can't believe that Kimimaro doesn't get it. It is like he has a mental illness. Clearly, his dad is not dead and will somehow pop out of nowhere. The only other option is that Kimimaro really didn't matter to his dad, if he didn't disappear from going bankrupt. 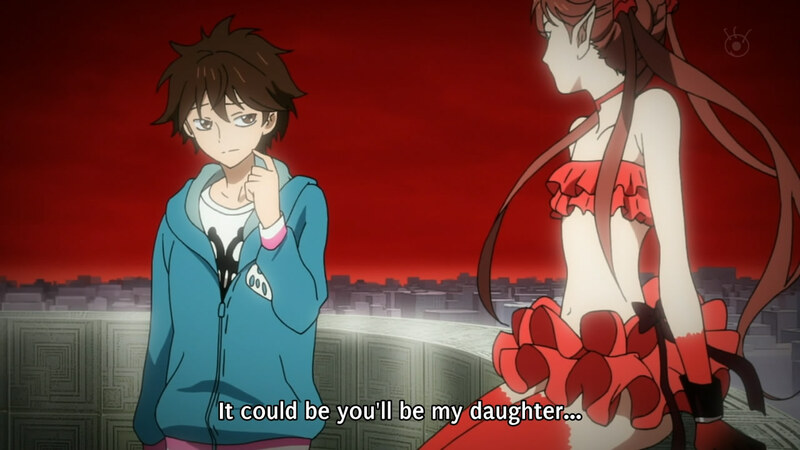 Clearly, his dad will pop up out in the next few episodes, as a crazy and shocking moment. As for Msyu and his dad's asset looking the same, it could be because their future, which was lost, was linked. Much like Kimimaro deduced - probably the first time he thought of something on his own - Msyu probably represents a family member. It's highly unlikely that it's a daughter; it's probably more like Kimimaro's sister. Either way, I think I've got a firm grip of what will happen in these last few episodes. I am hoping with all my might that they will prove me wrong with some crazy meaningful and amazing ending, but I highly doubt it. The writing thus far has been very messy, much like stuffing in lots of ideas and hoping it somehow mixes. Without proper writing, it is just a jumble of unclear ideas that add nothing to the anime. You can't just stuff as many things as you can into an anime and hope people will find that at least one thing that they like to enjoy it.